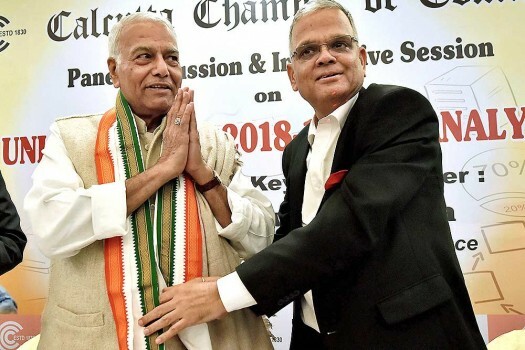 Former Finance Minister Yashwant Sinha delivers a lecture on 'Current Political Scenario and Media' in Pune. 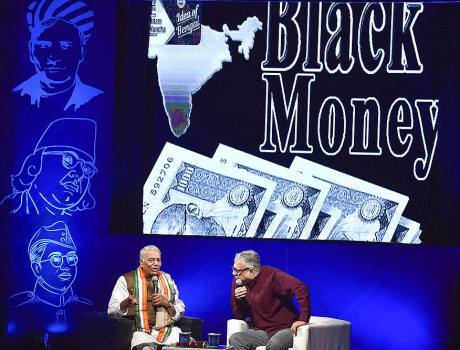 Former union finance minister Yashwant Sinha and TMC MP Derek O'Brien during an interactive session 'Idea of Bengal' on the theme 'Black Money & Broken Promises', in Kolkata. 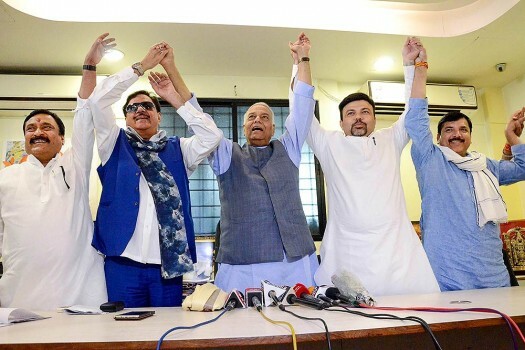 Former Union Minister Yashwant Sinha, BJP MP Shatrugan Sinha, AAP MP Sanjay Singh and former BJP MLA Ashish Deshmukh at a press conference in Nagpur, Maharashtra. 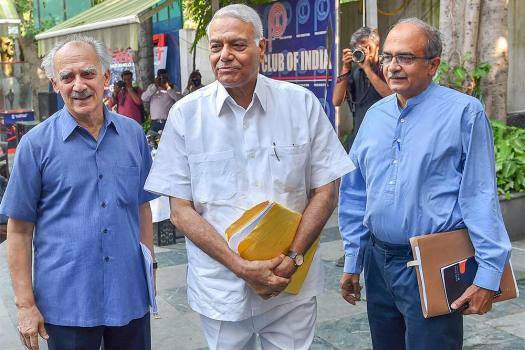 Former union ministers Arun Shourie and Yashwant Sinha with lawyer Prashant Bhushan after a press conference, in New Delhi. 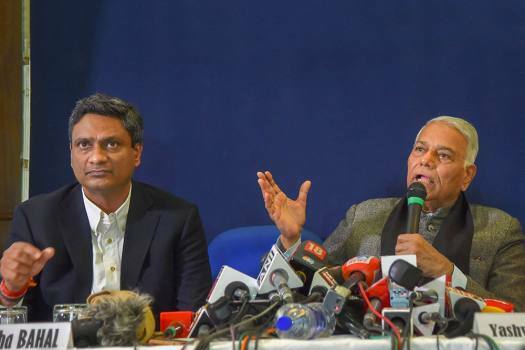 Former union ministers Yashwant Sinha (R) and Arun Shourie (L) with lawyer Prashant Bhushan during a press conference, in New Delhi. 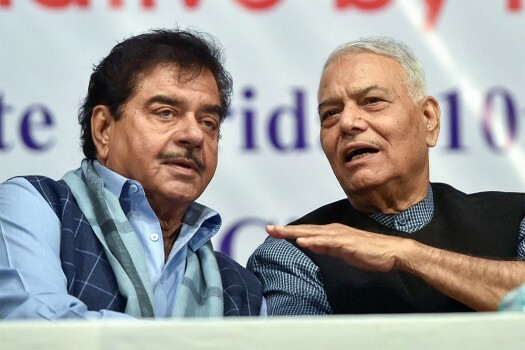 BJP MP and actor Shatrughan Sinha and former finance minister Yashwant Sinha at a forum discussion, organised by Rashtra Manch in Mumbai. 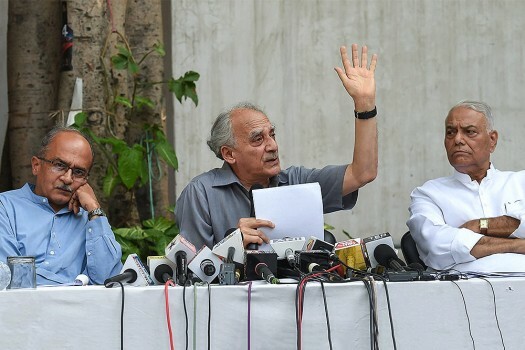 Lawyer Prashant Bhushan with former union ministers Arun Shourie and Yashwant Sinha during a press conference, in New Delhi. 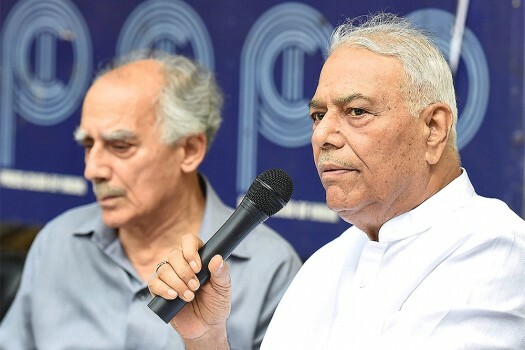 Former union ministers Arun Shourie and Yashwant Sinha during a press conference, in New Delhi. 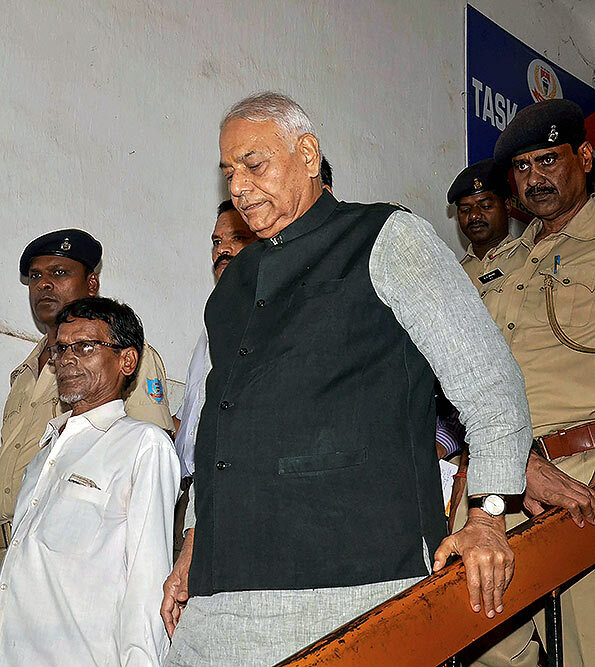 Former Union minister Yashwant Sinha arrives to appear before Civil Court in Ranchi in connection with a case of agitation against Madhu Koda government. 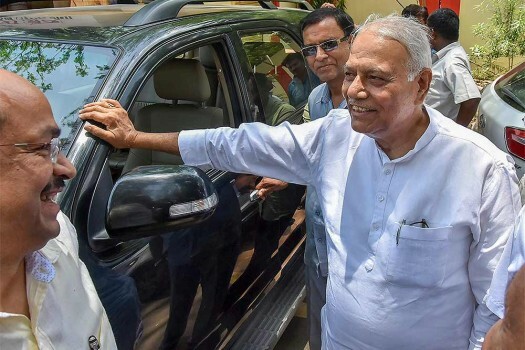 Yaswant Sinha expressed hope that if a 'mahagatbandhan' (grand alliance) was not created at the national level, there will be effective state-level alliances to take on the BJP. 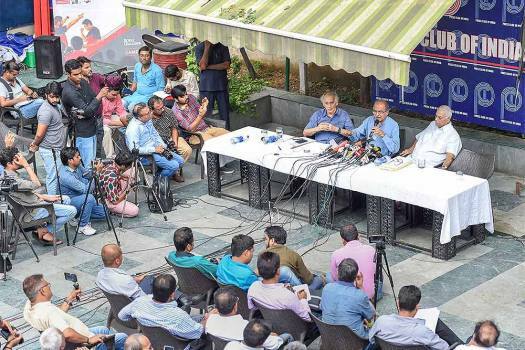 Calling it the "biggest banking scam in Indian history", the Cobrapost website alleged that DHFL promoters routed money through dubious companies and parked it outside India to acquire assets. 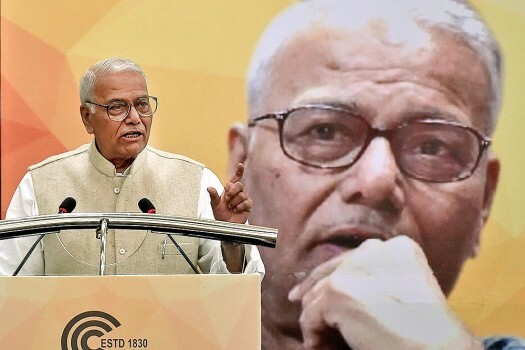 Former finance minister Yashwant Sinha accused the Modi government of dressing up economic figures and said statistics brought out by it are not trustworthy anymore. 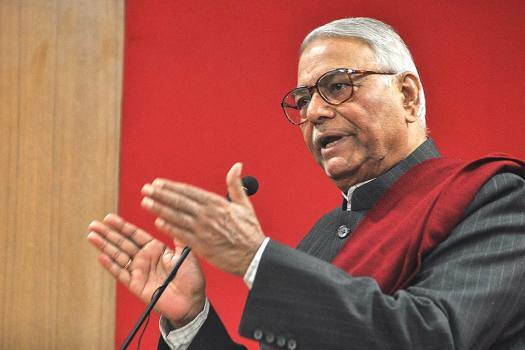 Yashwant Sinha speaks to Outlook about his new book, Rafale deal, Kashmir and more. In the judgement, the apex court had noted that the pricing details have been shared with CAG, and the report of the CAG has been examined by the PAC. However, Congress leader Mallikarjun Kharge, who chairs the PAC, had said no such report had come to him. 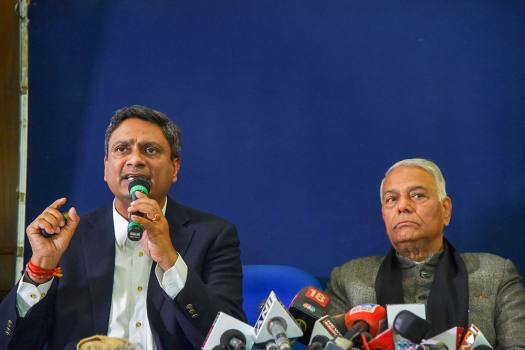 Sinha said PM Modi blew golden opportunity to propel the Indian economy to soaring heights. 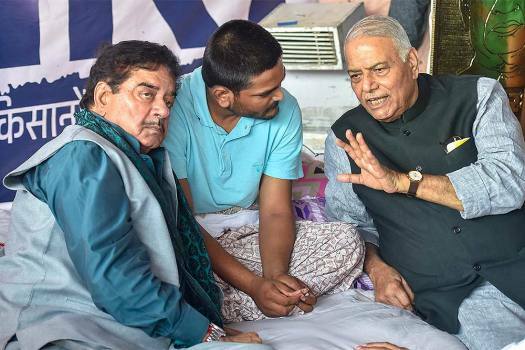 Kashmiri separatists warm up to Team Sinha’s peace mission. New Delhi can capitalise on the ‘unofficial’ channel. 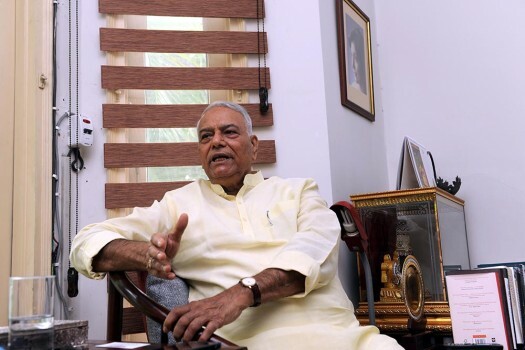 An interview with two-time finance minister Yashwant Sinha who has left an indelible stamp on the Indian economy. Two games are being played simultaneously within the BJP. 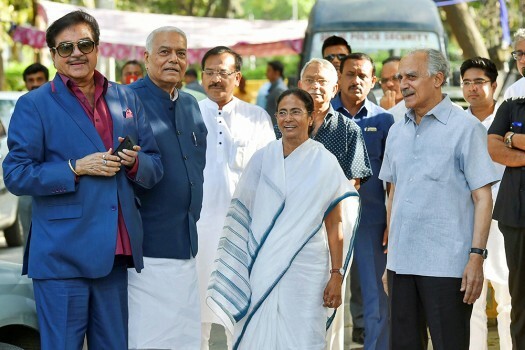 First, there appears to be a determined resistance by some BJP elders, particularly those in their mid-60s and above, to a generational change in the party... Alongside this battle against superannuation is the battle over ideas. A reason why the BJP has hitherto not permitted a structured post-mortem is rooted in the intellectual insecurities of a few leaders. 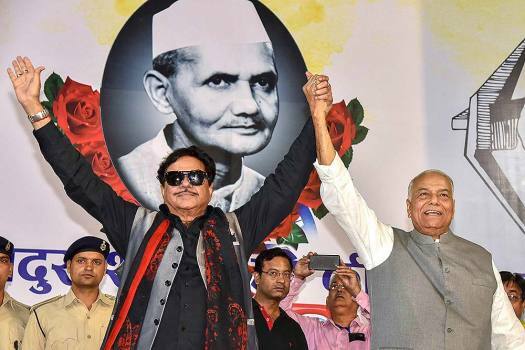 ...the post-defeat turbulence marks a quiet battle between those who want the BJP to be a wholesome and sober nationalist party, and those who have little inhibitions against making it a variant of the Samajwadi Party and Bahujan Samaj Party". Some of the comments to my earlier blogs have detected an apparent contradiction between my dislike of hardline politics and my support for Modi. That is because I believe that Modi will soon come to be accepted as the most enlightened and modern BJP face. Just look at the regressive types who were trying to create a riot in Surat and you will see what I mean. It's still very much the open season as far as the BJP is concerned. Vir Sanghvi says the middleclass has grown up, the BJP has not. 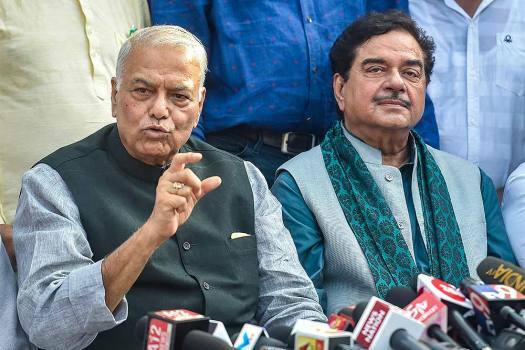 And as if to prove him right, after Arun Jaitley, Sudheendra Kulkarni, Brajesh Mishra, Anil Chawla and Jaswant Singh, it was now the turn of Mr Yashwant Sinha to go public with what he points out are the problems with the party. 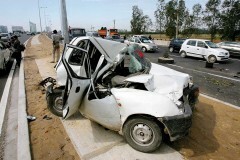 Mr Rajnath Singh's problems clearly are not over, despite the gag-order that seems to have been more than a bit belated. Meanwhile, Swapan Dasgupta responds to Sudheendra Kulkarni's observations in Tehelka and says that while some of them are unexceptionable, the real problem with the BJP was that "Advani didn’t attend to the problems. Instead, he embarked on the suicidal course of trying to transform a parliamentary election into a presidential one.... Advani strategy lay in bypassing a problem-ridden party..." and, indeed, that "[t]here are many in the BJP who insist that the problem with Advani was Kulkarni". It is a party that thrives on victimhood: whatever happens is always someone else's fault. No wonder "atma chintan" is looking a bit like an oxymoron. Other parties have abandoned nationalism for opportunism. 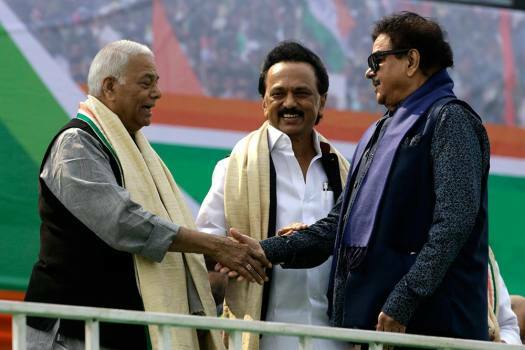 BJP did something worse: it made nationalism opportunism. No wonder its leaders cannot face up to the fact that most of them have been playing a game of such petty interests. And he raises the more fundamental question about the party's future: "Is there any leader amongst this lot who has the minimal credibility to take the party in any direction?" Only to conclude with what is clearly the crux of the matter: "More than the RSS, it is now clear that what made the party viable was Mr. Vajpayee".